The entire world is gripped with the fever of American fantasy drama television series ‘Game of Thrones’ as its finale season premiered today. 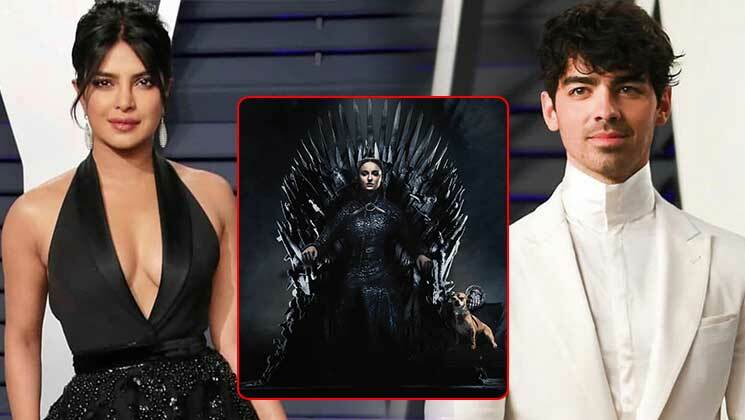 The popular show stars Sophie Turner in a pivotal role, who is Priyanka Chopra‘s brother-in-law Joe Jonas‘ fiance. 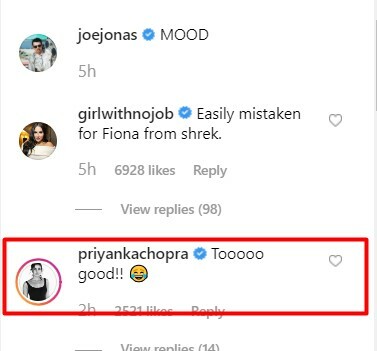 Now our desi girl and Joe both shared their excitement for the season finale in a very unique way. PeeCee and Sophie are also popularly known as the ‘J sisters’. Both of them are fond of each other and are always seen hanging out together with their better halves. Sophie’s fiance Joe channelled his inner Sansa Stark (Sophie’s character in the show) and shared the following video showcasing his “mood” ahead of ‘GOT’ premiere. Dressed as Sansa, Joe indeed made a very good imitation of his fiancee’s character. The first episode of ‘Game of Thrones’, aired today and it has already made its fan go gaga over it. The Jonas family is proud of Sophie and its endearing to see how they all support each other.